Guilin local cuisine is a mix of Xiang (Hunan) and Cantonese cuisines, which means it serves the dishes with spice and chili, and also emphasize on freshness and use of selected sauce. Stir-frying and streaming are widely used when cooking. 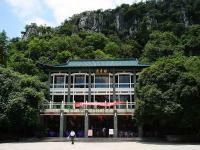 In the past, Guilin enjoyed its fame for some exotic dishes and the sights of birds, turtles, snakes, rabbits, even dogs in the cages in front of the restaurants. With more and more laws and regulations issued for the protection of wildlife, it is hardly seen in the street nowadays. Anyhow, if you are brave enough, you can still try bamboo rats, snakes or other wired stuff here. 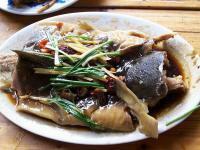 In recent years, more and more western-style or cuisines from other countries find their place in this beautiful city. You can see the Western Italian, Spanish, German, as well as Asian cuisines like Indian, Thai, Japanese, Korean, and Vietnamese restaurants in the small town. For the visitors who intend to try the local specialty, Guilin rice noodle is your best choice. It is also getting more popular around the country. 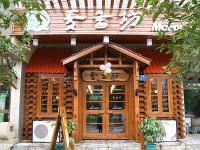 You can easily find a rice noodle restaurant at even every street of Guilin. 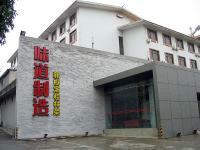 The famous ones include Shiji Rice Noodle, Ritouhuo, and Qingyun Soup Noodle.